In this post, we’ll explore different tools that you can use to find the most important keywords for your product, and how this can help you sell more product and ultimately generate more revenue. Keyword Scout is the best way to source those winning Keywords. Amazon is one of the largest search engines in the world for ecommerce and products, where a third of all product searches begin on Amazon. Because it is a marketplace like no other, with a black hole of millions and millions of products (perhaps close to 500 million products), it is not the best place to browse and discover new products. Instead, Amazon users are extremely purchase-focused: enter the search term for what they want, and check out with maximum speed and efficiency. Amazon didn’t patent the one-click checkout for nothing! Because Amazon shoppers have such a high purchase intent, it is extremely important for you as a seller to appear at the top of the list when they search for any phrase that is remotely related to your product. There are a number of factors that help you rank highly in Amazon’s search results, including the number and rating of your reviews, the volume of sales that you’ve done in the past, the conversion rate of how many visitors to your Product Page actually purchase, and how relevant your product is to the search query. Some of these things require time, but increasing your listing’s relevancy is something that is immediately in your control. And the beautiful thing is that there are quantitative ways to know exactly what words you should include in your listing to maximize your relevancy for the most profitable search queries. Let’s explore some of the tools and strategies to find these keywords! Google’s Keyword Planner is a free tool that will show you an estimated search volume for any word or phrase, and help you find other related phrases. Google has troves of data collected, and the Google Keyword Planner is where you can access how many searches a given phrase receives. You can also segment the data by geography, which is helpful if you are selling on Amazon UK or another Amazon site. 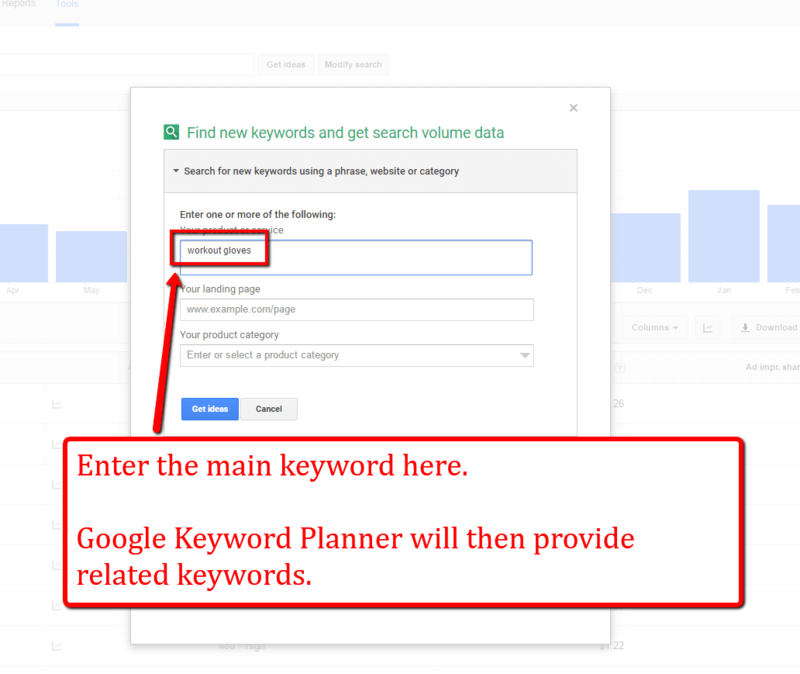 Update: Since this post was published, it has been speculated that Google have placed restrictions on their Keyword Planner tool. Unless you have a Google AdWords (advertising) account running, you may see limited average monthly search data. There are several helpful methods to pull relevant keywords from GKP. 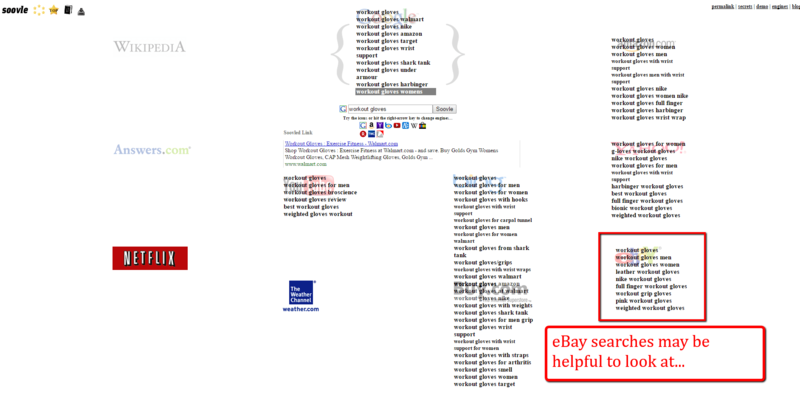 If you drop in some main keywords, or “head terms”, we can start surfacing some other search phrases that may help us. The strategy here is that we start with the main keywords, like “workout gloves”, and then niche down into more specific long tail keywords that people are searching for, like “leather workout gloves” or “blue workout gloves”. Keyword (by relevance): This is the list of keywords that are most related to the keywords you entered, in this case it is “workout gloves”. Average Monthly Searches: While the actual search volume on Amazon will differ from what you see in GKP, you can assume that the volume will be the same relatively, which helps you prioritize which keywords will get you the most traffic on Amazon. Competition and Suggested Bid: These columns are more specific to creating an Adwords campaign, and not exactly relevant to helping you create an optimized Amazon listing. However, if you get to the point where you have created your own website off of Amazon, and want to drive paid traffic to the page, it is certainly valuable information that you’ll want to have! If we want to get an idea of some keywords that our competitors are targeting, we can enter their landing page. If you are unsure of what keywords may be relevant, you can start your keyword research by referencing a competitor’s site. So just think up some relevant competitive products and let Google work its magic. 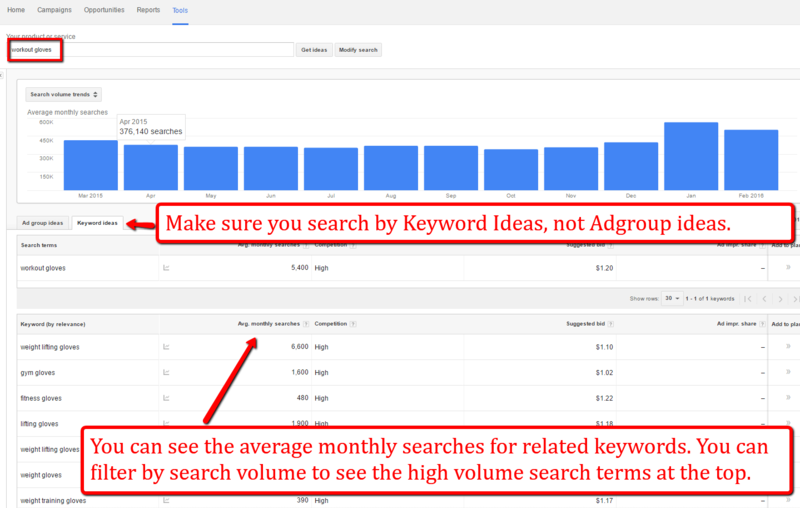 You will want to start saving all of the relevant keywords within the GKP, so we can evaluate them once we’ve gathered a bunch, and rank them by search volume. This saved list of keywords will be handy to identify how to prioritize them based on search volume and monetary value, more on this later…. While Ahrefs Site Explorer is mostly used for backlink analysis, this tool has many more use cases. Keyword research on Amazon is one of them, especially if you want to learn from successful Amazon sellers. Here’s how it works. Go to Amazon, find a popular product page that you compete with, paste the URL into Site Explorer, and choose “URL” as the search mode. Ahrefs will reveal the keywords that send organic traffic to the page. That way, you will be able to optimize your own page for juicy keywords to drive some traffic from best-selling items to yours. As a popular page on Amazon can rank for hundreds or even thousands of keywords, it’s worth using the built-in filters to narrow them down. Have you tried Keyword Scout yet? While Google’s Keyword Planner and Keywordtoo.io are great, simplistic methods for finding keywords, your best bet for finding powerful keywords for your Amazon FBA private label products is Keyword Scout. Keyword Scout is the world’s first Amazon keyword tool that uses real Amazon PPC data to discover powerful keyword opportunities. Best of all, it’s included in Jungle Scout’s suite of web applications at no additional cost. Here’s just a few of the things that you learn with Keyword Scout. In addition to the entered keyword or ASIN, what other relevant keywords are there? How many exact match searches are being done for the keywords? And how many broad match search volumes for the keywords? What are the dominant categories for the keywords? How many units should you giveaway with Jungle Scout’s keyword targeted promotions for the keywords? What are the average Headline Search Ad bids for the keywords? 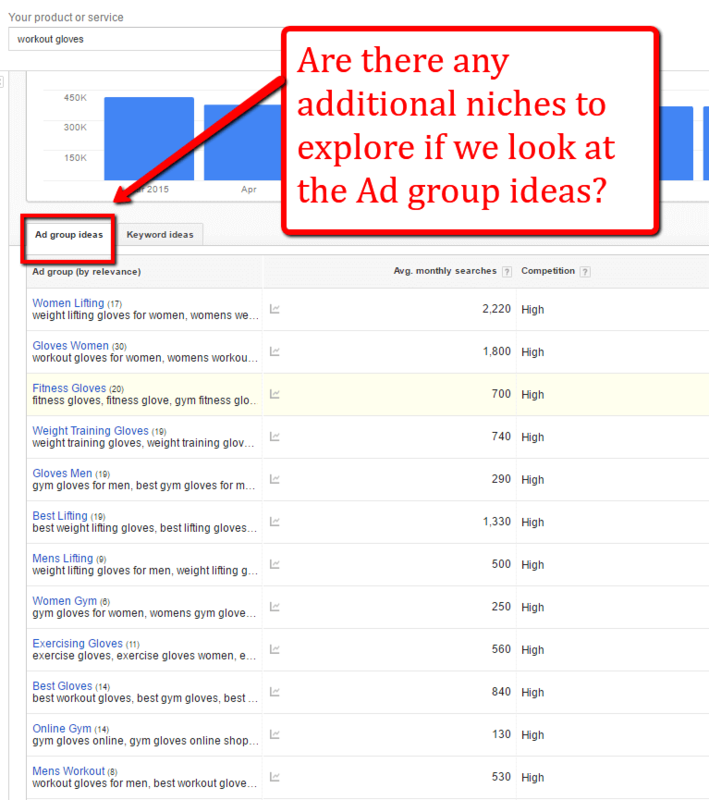 And what are the average Amazon Pay-Per-Click Ad bids for the keywords (exact and broad)? How relevant are the keywords to the entered keyword or ASIN? Allow me to demonstrate how easy it is to use Keyword Scout and how you can generate powerful new keywords in seconds. First, you’ll want to log in to your Jungle Scout Web App. Once there, click on the Keyword Scout tab. Then, enter in a keyword or product ASIN to generate keywords for. We’re going to use “workout gloves” again. 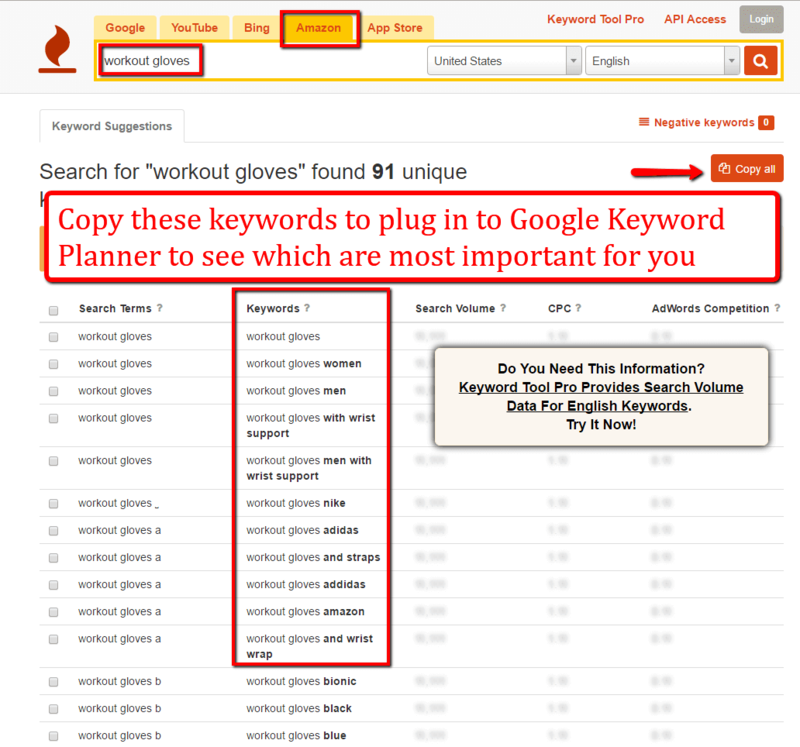 As you can see, Keyword Scout has already come up with 990 keywords for “workout gloves”, which is already 10 times more than what we could come up with the keywordtool.io/Google keyword planner trick I showed you above. Once you’ve got keywords generated, you can learn a lot more about those keywords in the various columns. In addition to being a powerful keyword research tool, Keyword Scout complements Jungle Scout’s product research tools by providing exact and broad search volumes for all of your keywords. 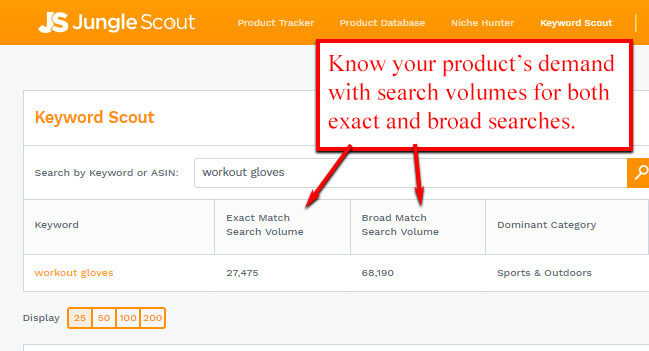 Check out how many searches for “workout gloves” per month–27,475 for exact searches and a whopping 68,190 for broad! Obviously, it’s a highly sought out product! Plus, we can learn what our competition is like, too, thanks to the average Headline Search Ad and Pay-Per-Click bids. As you can see the average HSA bid is a massive $16.83. PPC bids are also pretty high at $1.81 and $1.47 for exact and broad respectively. So, in my opinion, this is probably a pretty competitive product. Typically, it takes 7-10 ad clicks to make a sale on Amazon for products priced between $18-$35 (based on a 10-15% conversion rate). And it takes even more clicks for more expensive products; sometimes as many as 20-30! A good rule of thumb is to look for keywords that, when multiplied by 10, add up to 25% or less of your target sales price. Another way to look at it is that each keyword bid should be no more than 2.5% of the sales price. That’s why we call this the 2.5 Rule. For example, if we wanted to sell our “workout gloves” for $30 a pair we’d want our total ad costs around $7.50 per sale. After all, that would leave us some healthy room for profit. Therefore, the cost-per-click for HSA and PPC bids needs to be $0.75 or less (or 2.5% of the sales price). Unfortunately, we saw that ad costs were nearly double that or more with exact and broad PPC bids. And HSA bids were simply too high to be competitive with. You probably remember that Keyword Scout was kind enough to generate 990 keywords for us. So we have plenty more long tail keywords to work with. There’s roughly 60-75 keywords that come in under $0.75. However, most of those keywords are long tail. Their search results are less than 500 searches per month. Here’s another rule of thumb. I like to make sure at least one or two of the keywords I’m targeting has over 1,000 searches but still less expensive than 2.5% of the product’s sales price. If you’re interested in learning more about Keyword Scout and how it can boost your Amazon FBA business, be sure to check out our Web App page. Learn more about The Web App and Keyword Scout! If you’re already live on Amazon, you can download a list of search queries that make sales. One of Automatic Targeting’s benefits is that Amazon will show your ad to any relevant search query. This is based on your product’s description. However, the targeting can be fairly broad. This means that you are possibly paying for clicks that isn’t targeted traffic. Regardless, you may come across some good keywords that you didn’t identify when initially creating your product listing. 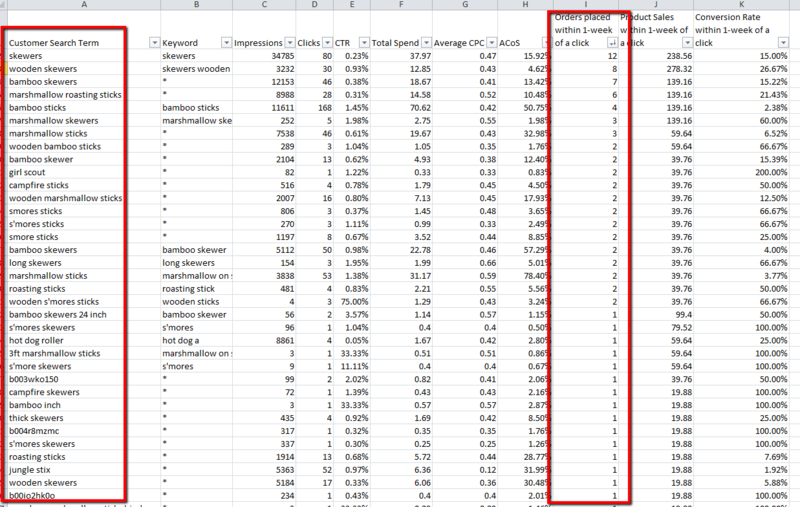 For example, here is the keyword data from our marshmallow sticks. This is the data from the campaigns that have been running for Jungle Stix. As you can see, there are some customer searches that we did not anticipate. For example: ‘girl scout” which have converted into sales. We may want to incorporate these search terms into our Product Listing somewhere. Set yourself up for success by finding the keywords with the highest demand! As you can see, these are all free tools and provide helpful data to craft your keyword optimized listing. We went through this keyword research process to create the listing for Jungle Stix, the private label bamboo marshmallow sticks. 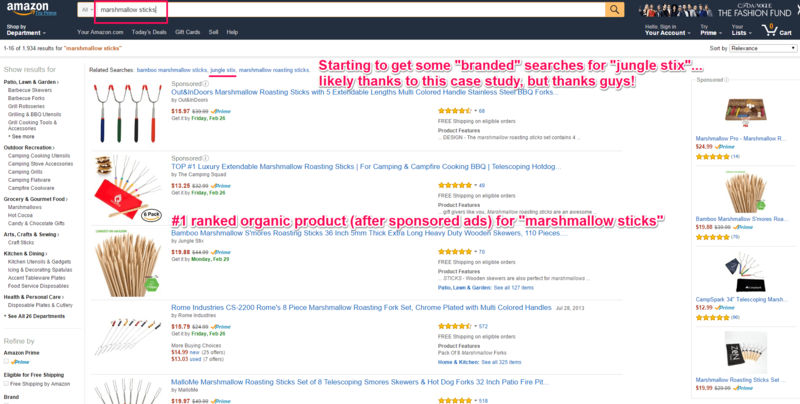 We were able to rank as the top organic product for the main keyword, “marshmallow sticks”, which was covered in detail here. And when we later released Keyword Scout, we further improved our listing. Are there other tools that you have found useful in your keyword research? Please share them in the comments, would love to learn of other resources! Wow, very nice information you have explained with images it’s clear to understand. These are the tools very helpful to find the keywords. In Amazon Spain (i give Amazon SEO Services here in my country), the title lenght allowed by Amazon is to small. Only 80 bytes including brand name. So we can put very few keywords in the title, we can only used in the inside seller central keywords product box, bullets points and description. Can you give us some advise to attack more keywords with this kind of limits? Second doubt, we dont know if in spanish language, i have to writte in the “inside seller central keywords product box / field” singular and plurar, masculine and femenine of a word that i want to possition by, because this make us spend a lot of characters / bytes to that field. Like this we have to put in the “inside seller central keywords product box / field” those 4 terms, and like that we put less words (of other Search intentions) in that field that is limited to 249 bytes in EU. This is one of the best articles on Keyword research that I have encountered. However, To add more to this, I just wanna point out a tool (LSI Graph) for an outstanding long tail & semantic keyword research. After the recent Google algorithm, Google is now, however focussing more on context & semantics than keyword alone. What do you think about it? Google research isn’t really relevant to Amazon PPC research since it’s two different search intents. Google is content whereas Amazon is shopper. I had been using KeywordTool.io and the Amazon autosuggest feature, but you really only get a few suggestions with those methods. It’s so cool that you can get a huge list with Keyword Scout – talk about a secret weapon! If you want to get inside your customer’s head, you’ve got to dig deep. I often used the first and second tool but google planner is a bit different now than the image shown above. Especially with the number of monthly searches, it doesn’t show the precise number now, but, still helpful source and still using it up to now. Ahref is my favorite. Keyword Scout is interesting would love to explore this now. Thank you for sharing this sources. These tools claim to offer amazon specific search volume data! I am not sure how they are extract the data but the chances are they use amazon API (if they provide) to give exact search volume details. Can you please share your views on these tools? I’m not sure about amzdatastudio, but I believe merchantwords uses (or used at one point) Amazon auto completes to get its data. Additionally, I’ve found Keyword Scout to be extremely accurate in its searches. Plus, it comes in the Web App package which includes The Product Tracker, Niche Hunter, and Product Catalog. Great! I liked the idea of taking search results from Google tool after taking the keywords from keywordtool.io. Hey, nice blog. Bookmarked. Thank You. Hi -thx for the info , sorry if I’m asking a question that would have been asked before , but – where do we place all these keywords once we have them ? In our descriptions – in our bullet points or in our title ? Or in the backend somehow ? I’m hearing a lot about keywords and I can understand that this is really important to be found – but I don’t understand where to place them or how too – any advice or recommendations to get up to speed or outsource ? No worries – and you’ve got it right, you want to include your targeted keywords everywhere you can – the product title, description, bulletpoints, and even in the image descriptions. I would start with the tools we recommend in this post first before thinking of outsourcing. And keep your eye out for some new keyword tips coming from us soon! Hope this helps. Hey, great post. Just one question. 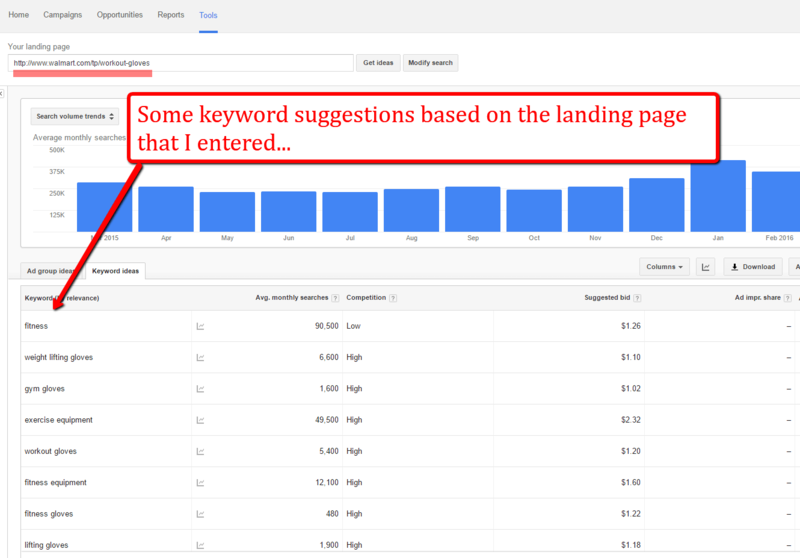 How to proceed with keyword research when you launch the product which is a new on the market and there is no keywords to start with research. This is a very specific product. I had in my mind one idea (using another marketing channels like facebook to get awareness about product) but this is very expensive. So I dont know how to start with low cost strategy. Any idea? 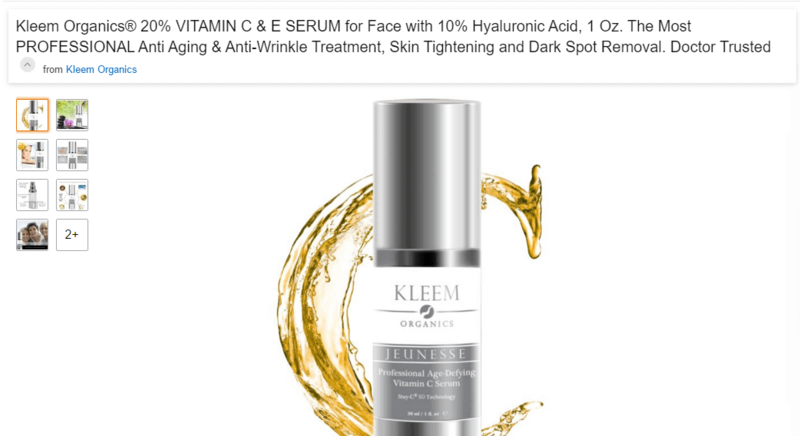 Good question – is this a product invention of yours? Or are you trying to private label a very specific product in particular? We always recommend for the private label model to find an existing product that has demand and low competition, that you can manufacture under your own brand and sell on Amazon. This is the easiest way to start generating revenue fast, as you are tapping into existing demand. However, if you are a product inventor then you will need to alter your approach somewhat. If a product has very minimal demand it can often require a strong marketing strategy to inform people of your product and their need for it. This can be very expensive like you say! I would still suggest looking for similar products and conducting keyword research in the same ways shown in this post to see what people are searching for in relation to your product. Also try thinking outside of the box. Does your product solve a problem? Try KW research around that topic, etc. I am not a product inventor, so I have never been through this process. Perhaps someone else in the community will be able to chime in with some more feedback! What number in the GKP should we look for under average monthly searches? It’s really difficult to give even a ballpark figure because it is all relative depending on your niche, your product and how many searches other similar keywords are getting on average each month. 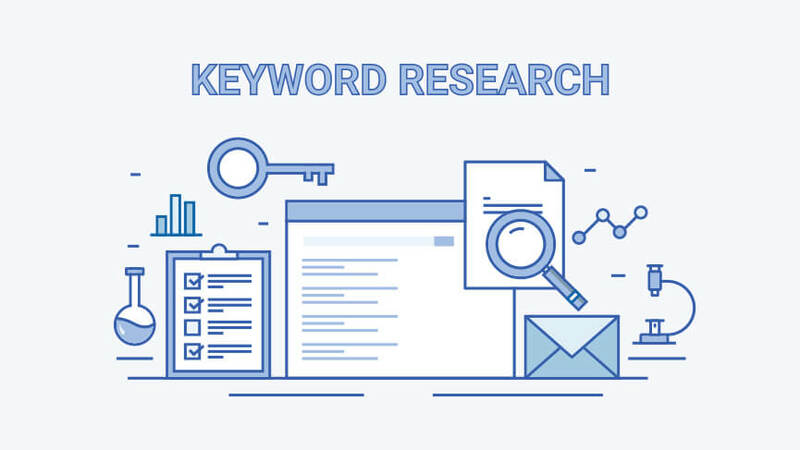 The best thing to do is do some keyword research for a very broad range of keywords related to your niche or product, then you will get a sense of what good search volumes look like for that niche. Take a look at this Million Dollar Case Study post for an in-depth look at keyword research! The average monthly searches in Google’s Keyword Planner are just an indication of which keywords you should target. There is no real way to see which keywords have bought in actual sales on Amazon – unless you run Amazon PPC campaigns, in which case you can actually attribute PPC sales to specific keywords and customer search terms. Read more about that here! Great work, thanks for exposing me to the various tool kits which I will certainly apply to move my business on Amazon. I’ve been diving into keyword research lately and it can be a bit overwhelming so I appreciate all the information and free tools you have shared here! 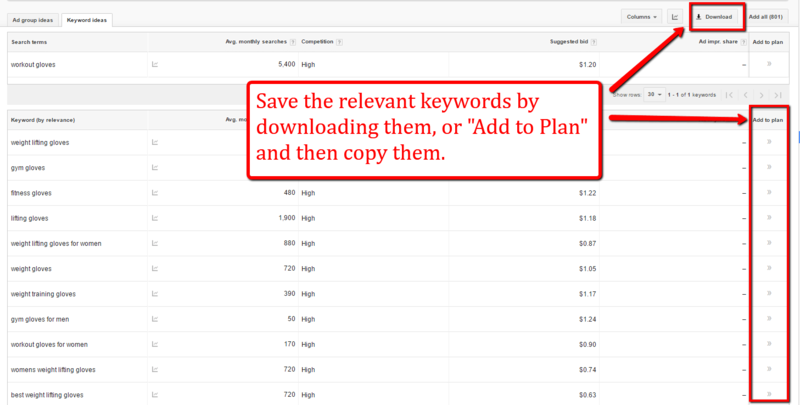 Google Keyword Planner is no longer free (or at least, the data is much less useful) without a paid campaign. I’m trying to figure out the least add spend possible to be able to use the tool! I would still use Google’s KW planner, even with limited data it gives a very broad overview. Would be really interested to know if you find out the magic number in terms of spend in order to get the most out of it. Let us know if you do find out! Hey John, thanks for stopping by and sharing your experiences. hey Gen, when I use adwords, with an account, it looks very different from your screen shots. Also it seems like it won’t let me see a dashboard until I commit to a campaign. Did they change it recently or maybe I’m not clicking the correct button? I see another comment above that had the same issue. I need to run a small campaign. I started to run my business on Amazon website but there still are a lot of thing needed to learn. I want to be more stronger and need more time to learn with JS. Thanks for your sharing. Glad that you are building your Amazon business. We try to put out as much helpful content as possible, one thing that may be helpful for you is watching to launch of Jungle Stix. Hope that this helps, if you have more specific questions let me know and I can try to point you in the right direction. Another great post! I’ve used all those tools in SEO work too. hey, thanks for the comment. Do you have any additional tools or software that you’ve found helpful in identifying good long-tail opportunities? how about merchant words? u ever tried it? Hey David, I have used the free version of Merchant Words, have not used the monthly paid subscription though. I guess the tricky thing is that there really is no standard for comparison, as there isn’t any data released by Amazon. I do think that it is helpful as a relative comparison between keywords though. Though it costs a little, as does Jungle Scout pro, I’ve found MerchantWords.com useful as it tracks keywords specific to Amazon product searches. Keyword research before ordering a product may also help you to customise your product even more. I recently found that by doing keyword research for the product I will be sourcing I also found out other things people are looking for the product to have, and funny enough, I found high volume keywords for the product that competitors aren’t using and also features I could add to the product to differentiate myself further! Great point, absolutely right! It is especially helpful if you have a main (parent) product, and the option to do different variations, whether men’s/women’s, color, size, half/full finger like this example with workout gloves. Sounds like you found a great untapped opportunity! I was a dream about business. When I was joined a new seller Amazon account few weeks ago. But I started to learn a little about seller this products and I had a problem with customer satisfaction. Because I did not realized not to respond the customer’ s email and their package did not arrived yet or not receiver It or delivery late. When I clicked the confirm shipment not to provide tracking numbers. I had to refund them back. I had made a big mistake. I did not know not to print packing slip or buyi shipping.. That’s why I was still stress. So. Until I found your junglescount on YouTube. I want to learn and study more about the jungle scout if I am interesting into to sign or not decide yet. I need more time to learn about the jungle scout. I don’t want to happen that I made a mistake again. Sorry to hear about your mistake. It sounds like it was a situation where you lost some money, but learned something. Let us know if you have any other questions about selling on Amazon or Jungle Scout. Best of luck! we do like everything of the junglescount,but i am so sorry to know we couldn’t use in amz jp that is our main market. we would like to know do you have any services or tools to help those people like us.